Very popular, all year round herbal tea. 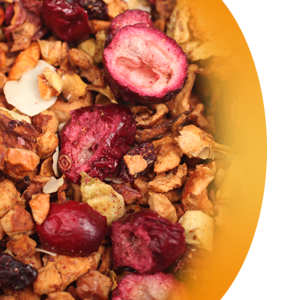 Features: apples, kiwi, sour cherries, cranberries and coconut flakes, that will delight your palate. Low in sweetness and acid, this is a perfect caffeine free option for a morning, afternoon or night. Enjoy hot or iced.